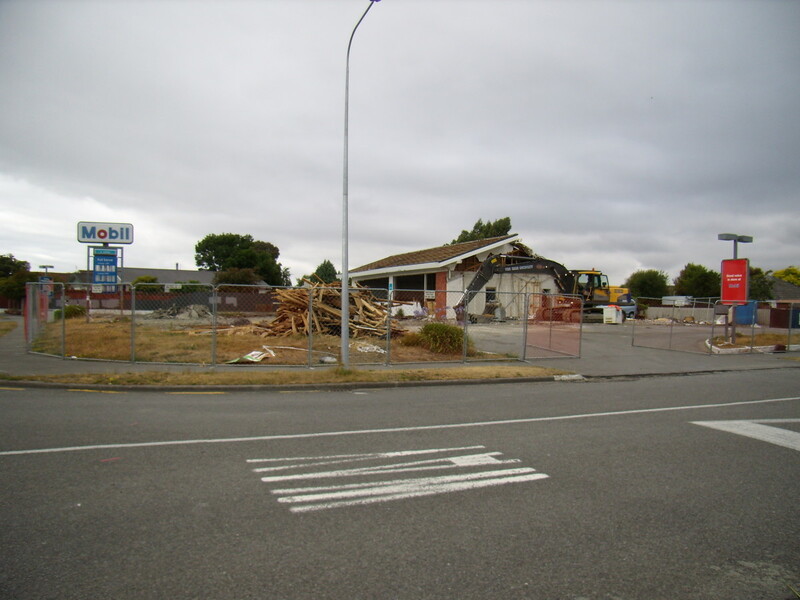 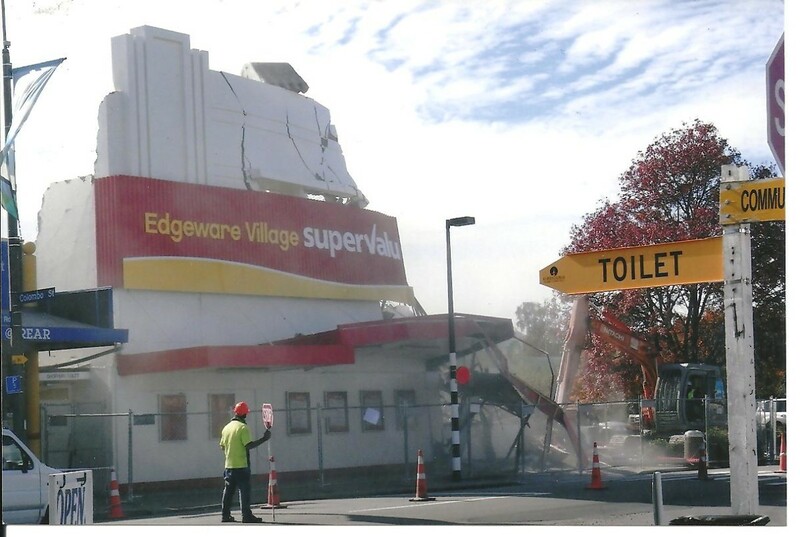 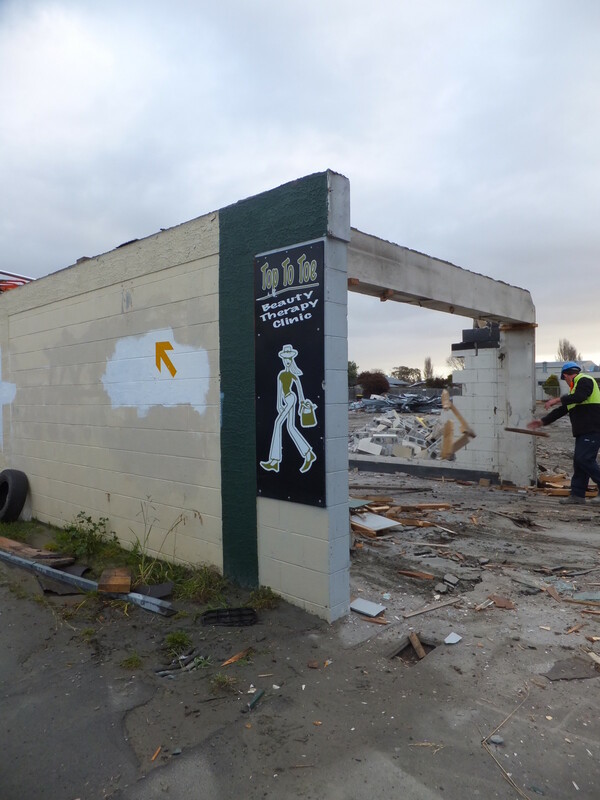 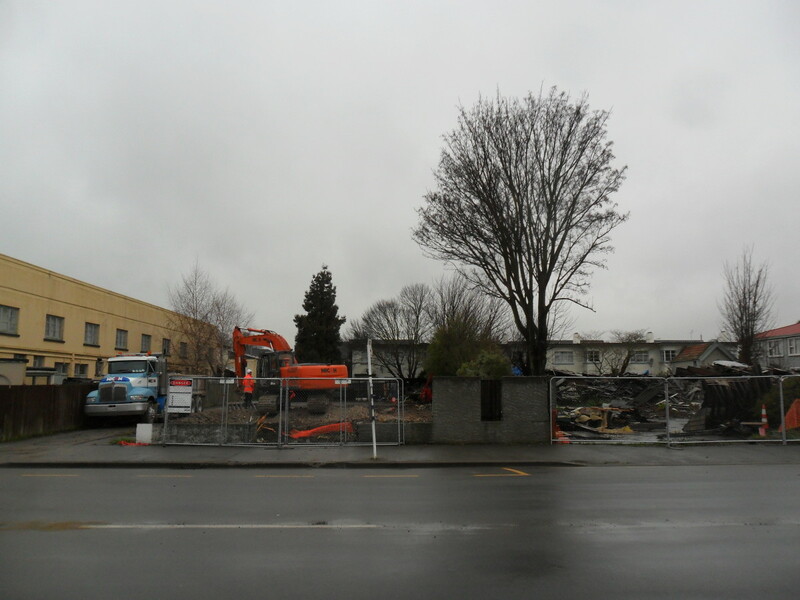 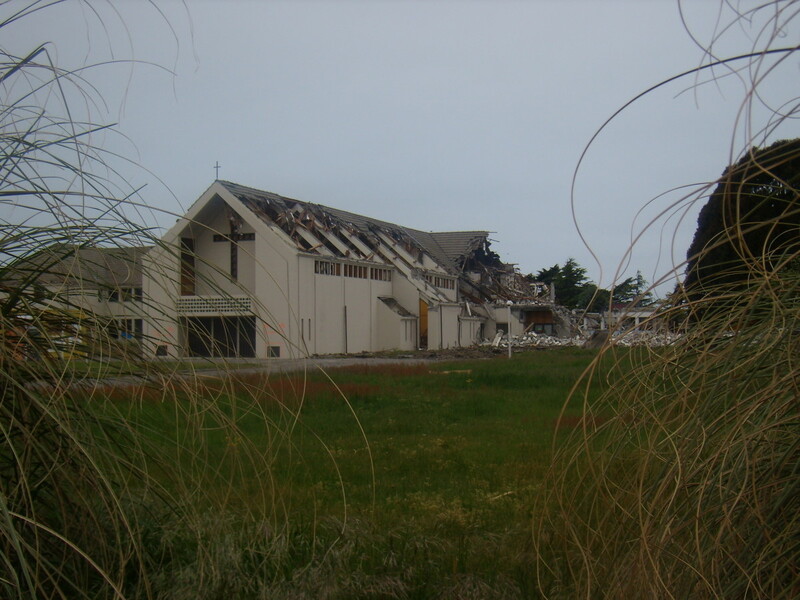 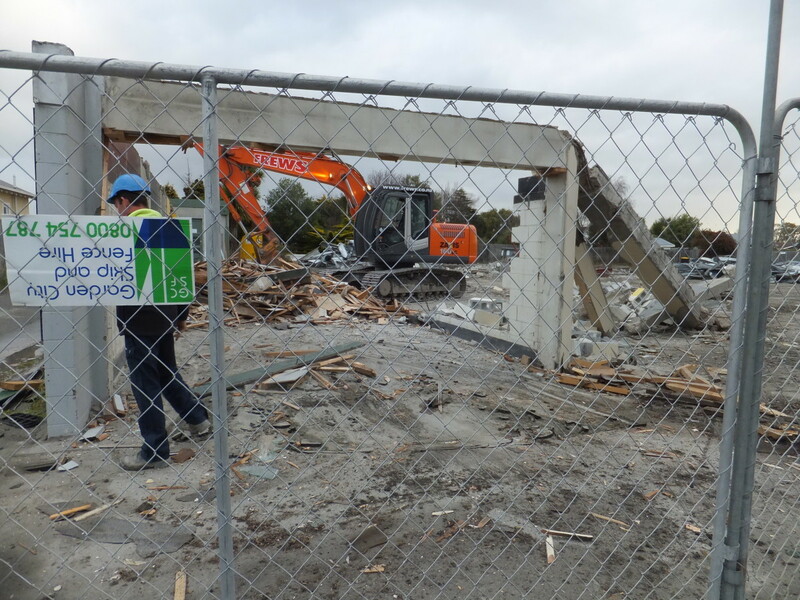 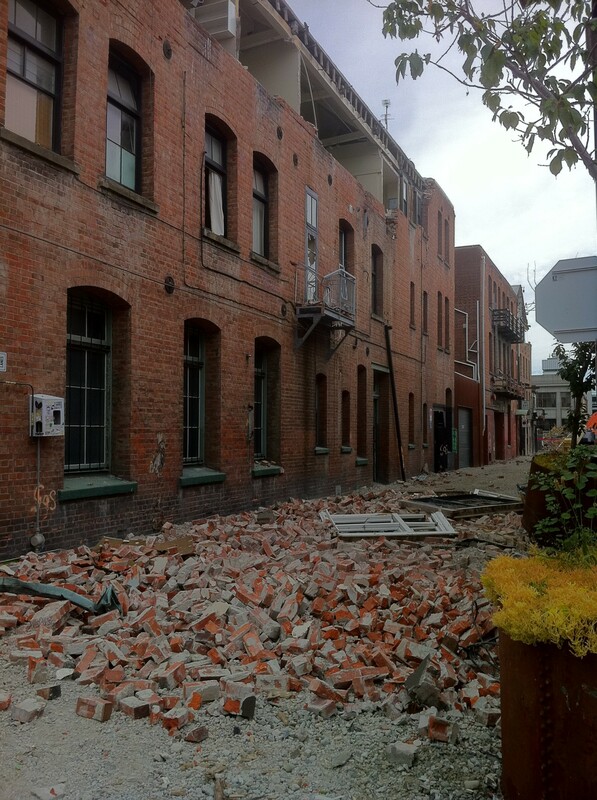 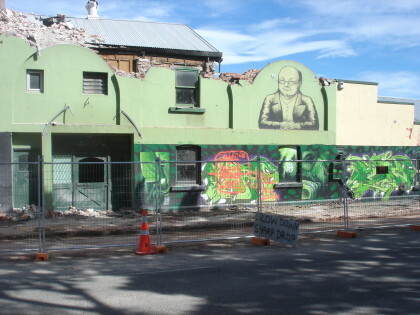 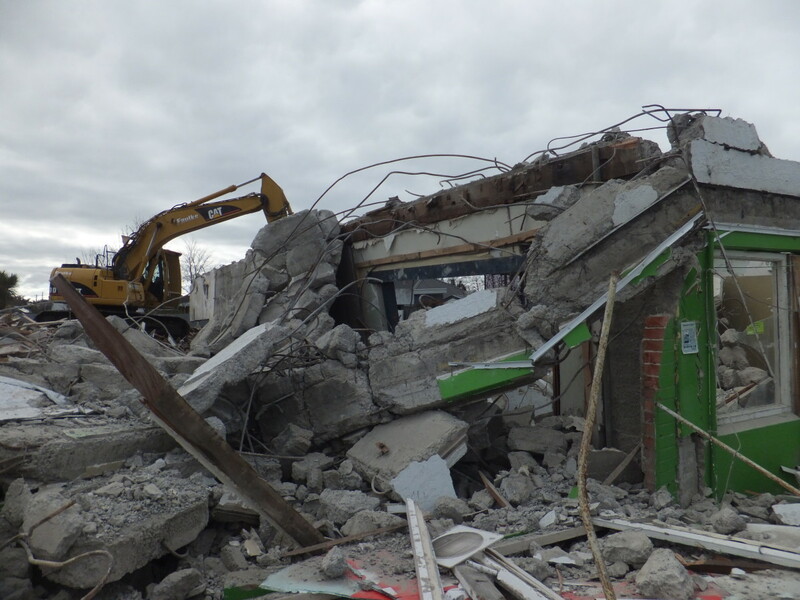 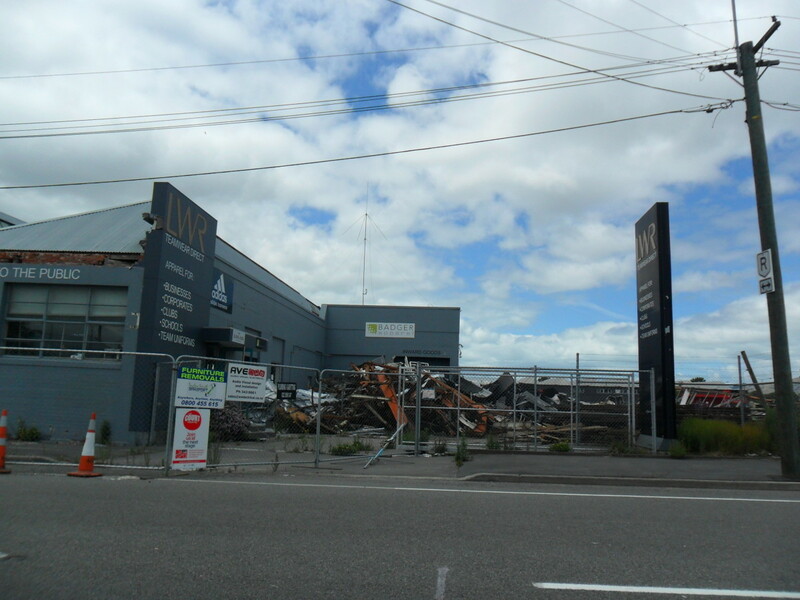 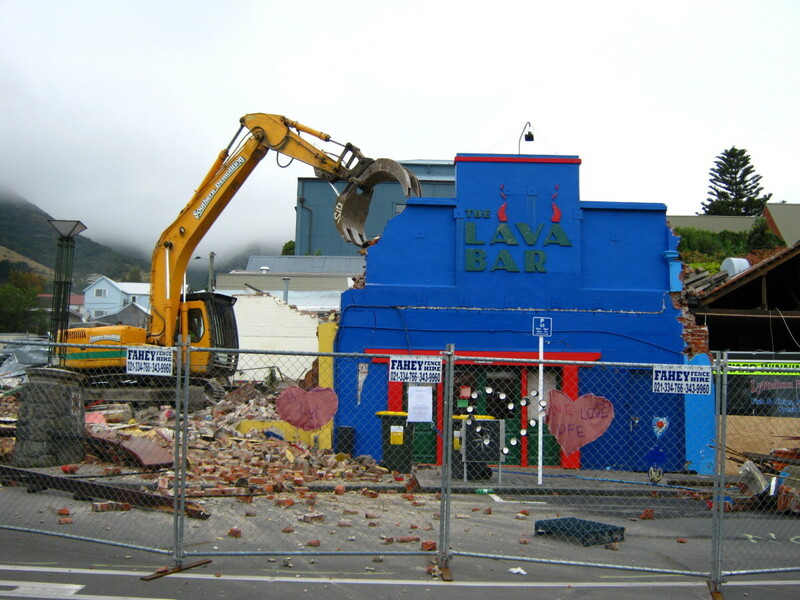 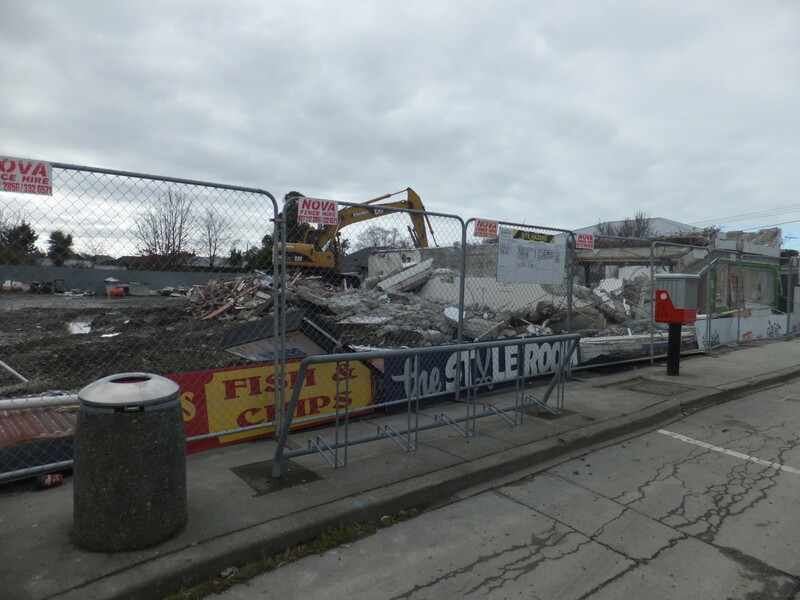 The demolition of the Volcano Cafe, the Lava Bar, Lyttelton Fisheries and the Coastal Living Design store following the February 22 earthquake. 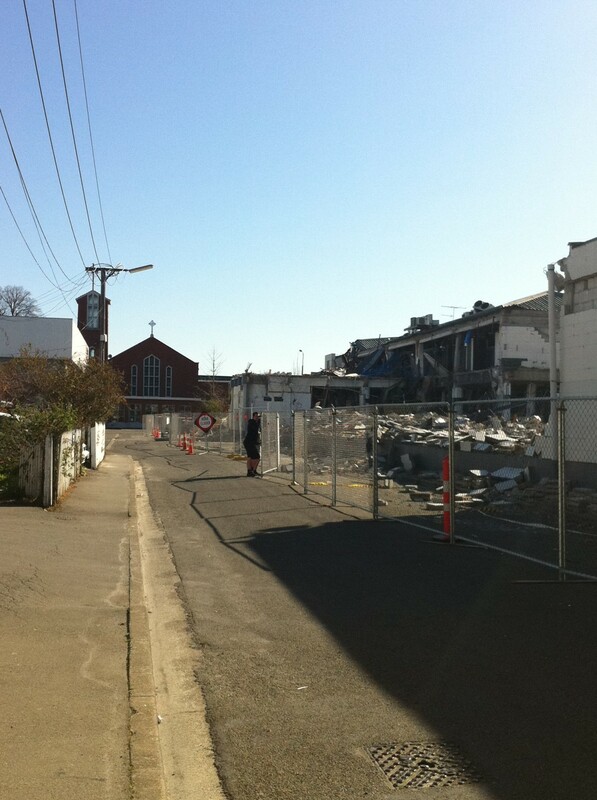 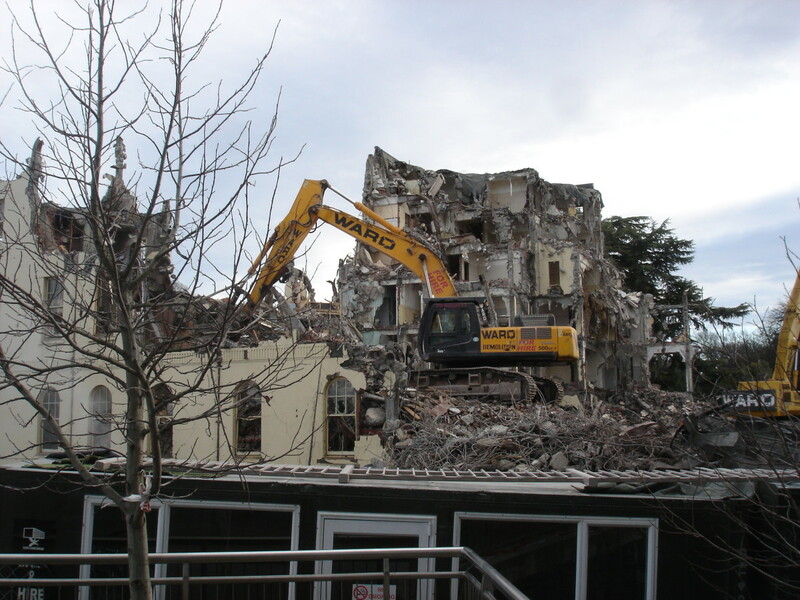 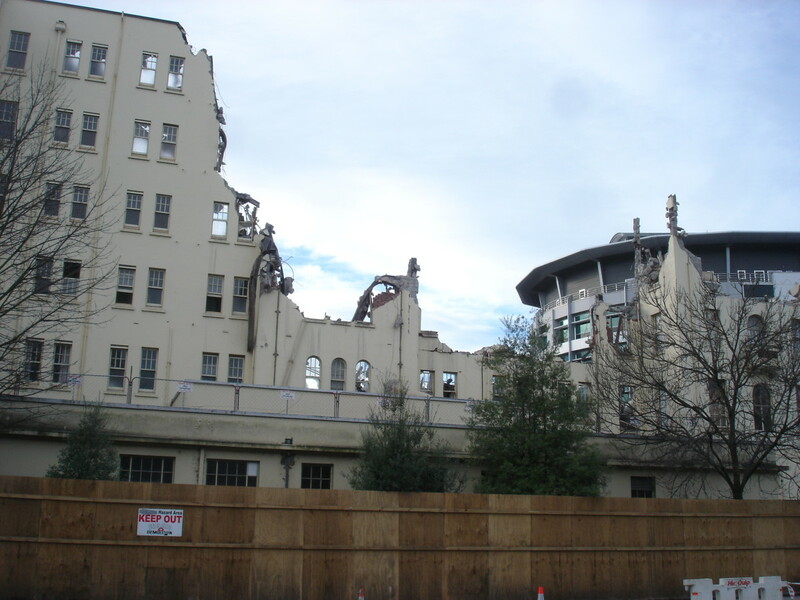 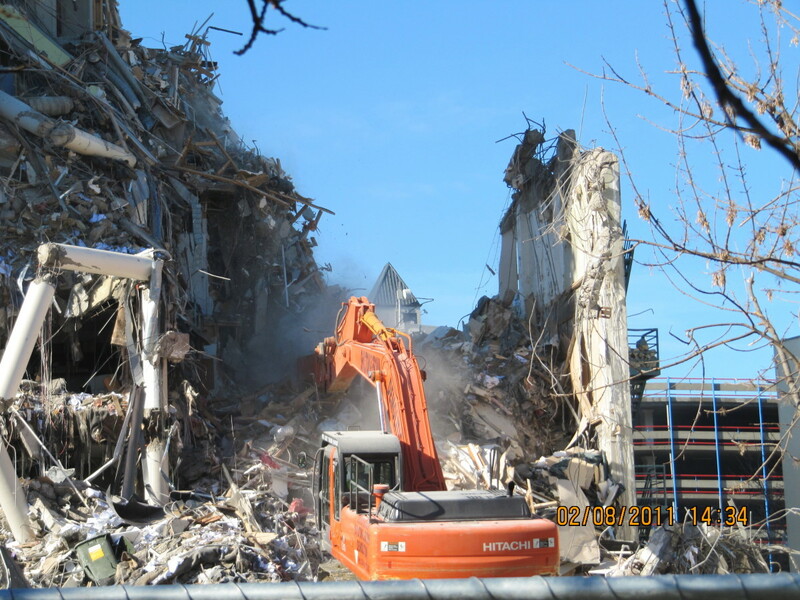 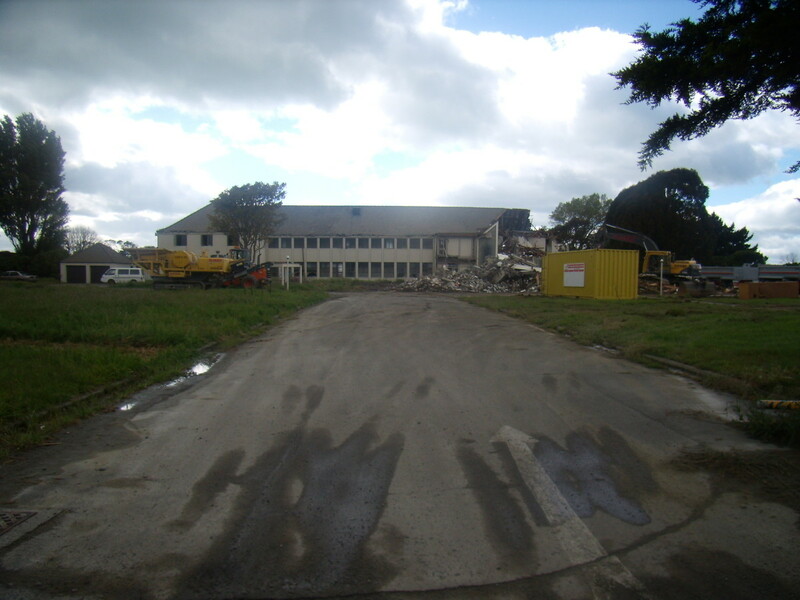 Excavator demolishing the Canterbury Brewery after the Canterbury Earthquakes. 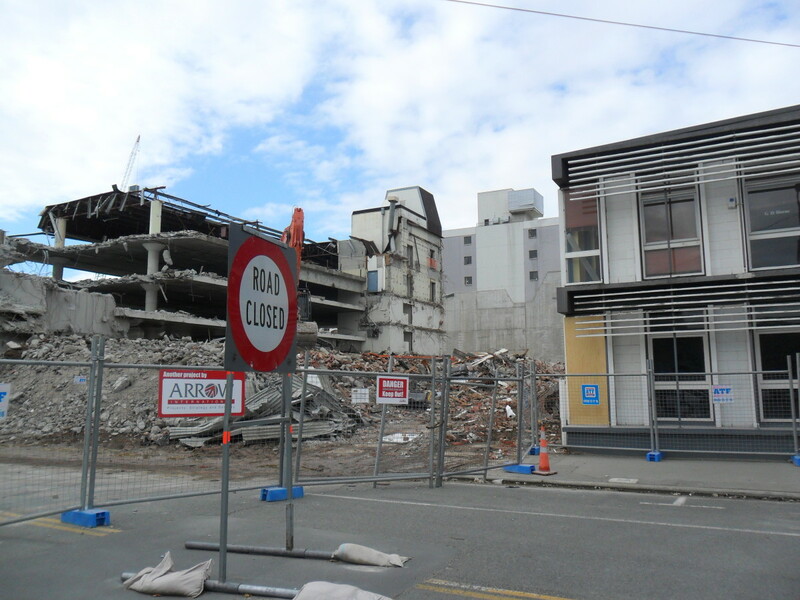 Passerby watches demolition of Meridian Energy building from outside fence, Aberdeen St looking towards Manchester Street, St Mary's Pro-Cathedral visible. 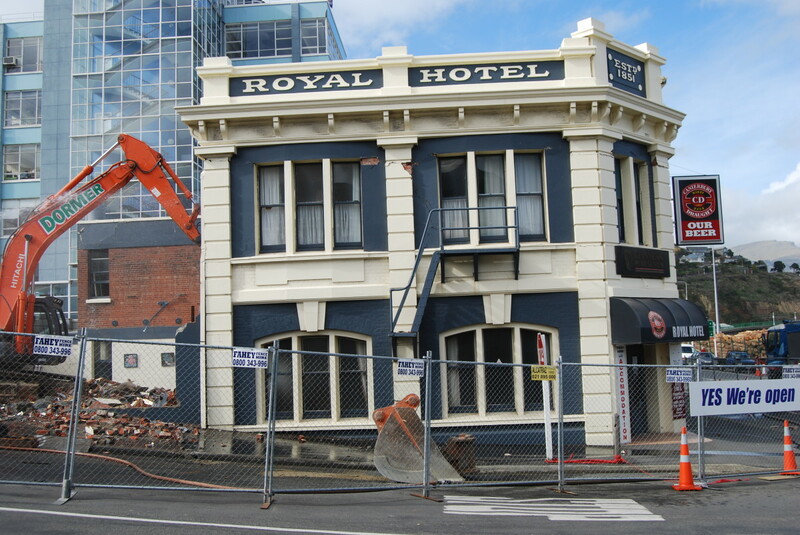 Exterior of the Royal Hotel in Lyttelton during its demolition at 34 Norwich Quay. 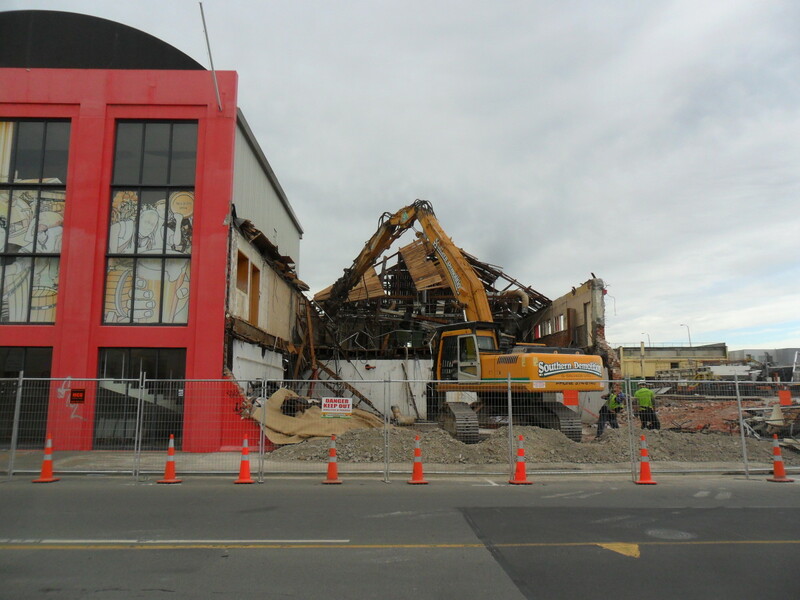 The 1940 building, originally the Century Theatre, was designed by Christchurch architect Wilford Melville Lawry (1894-1980). 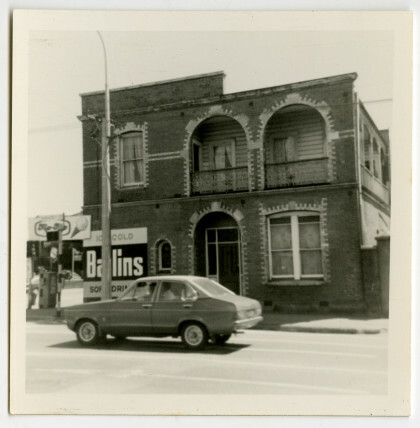 It was converted to a supermarket in 1969. 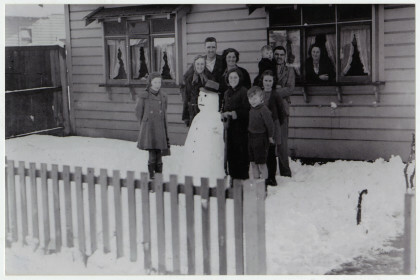 The cinema was a popular venue on Saturday mornings for local children(including this writer) in the 1950s and for their elders at other times. 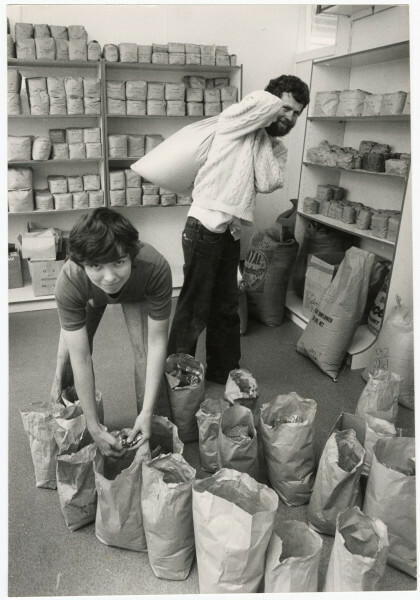 Cartoons and other films deemed suitable (e.g.Tom and Jerry, Mickey Mouse, the scary King Solomon’s Mines etc) screened to a lively and sometimes raucous audience who enthusiastically indulged in the traditional cinema activity of jaffa rolling. 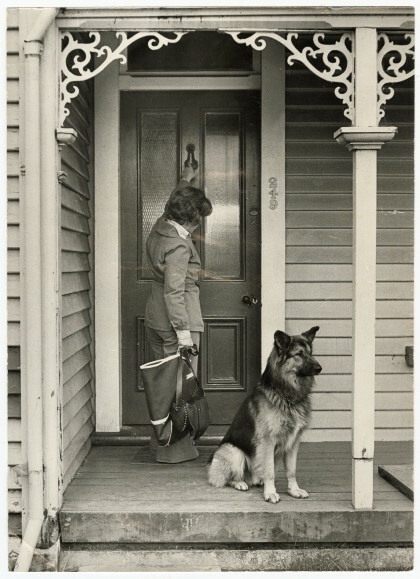 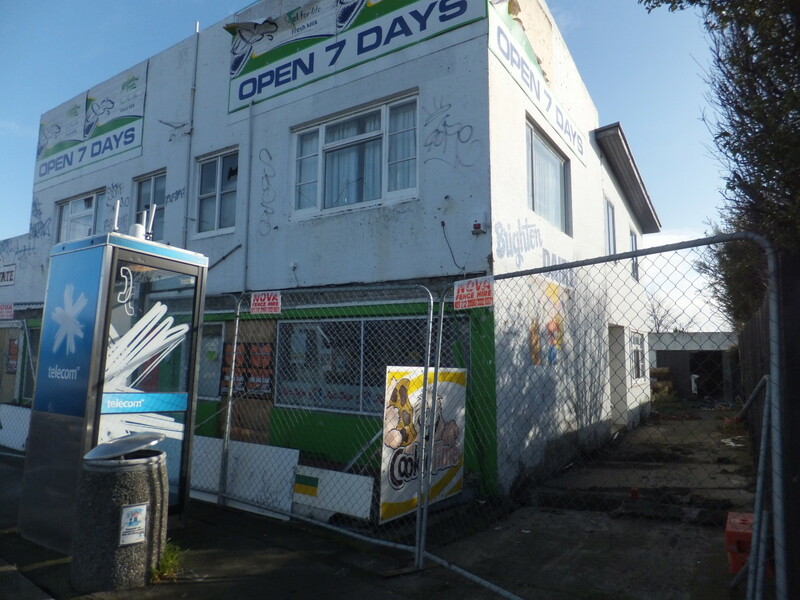 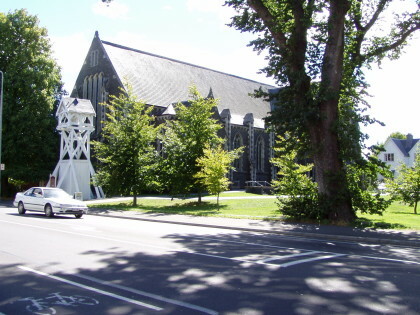 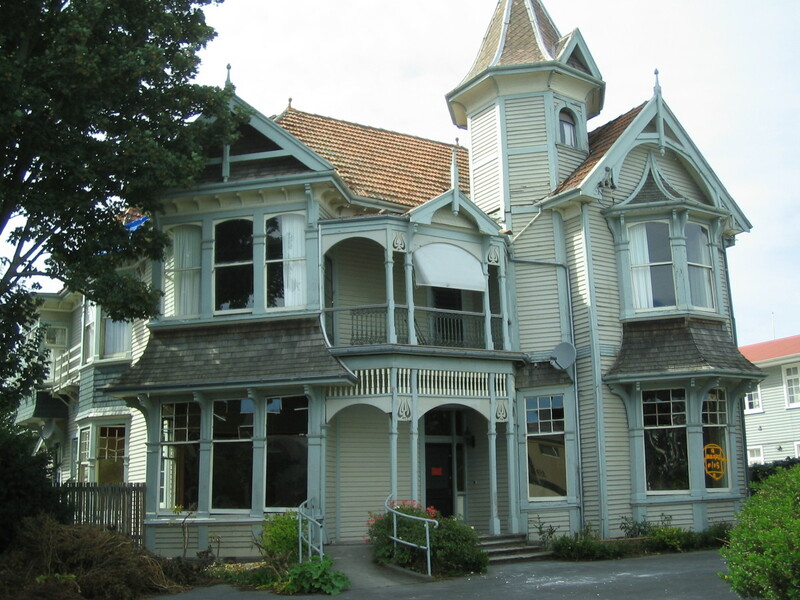 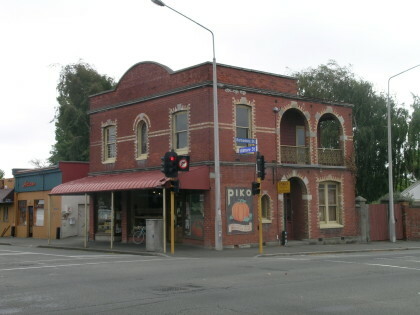 Lawry designed a number of Christchurch buildings in the art deco style including the1934 Methodist Orphanage and Children’s Home in Harewood Road (demolished) and the 1930s West Avon apartments on the corner of Montreal and Hereford streets (still standing). 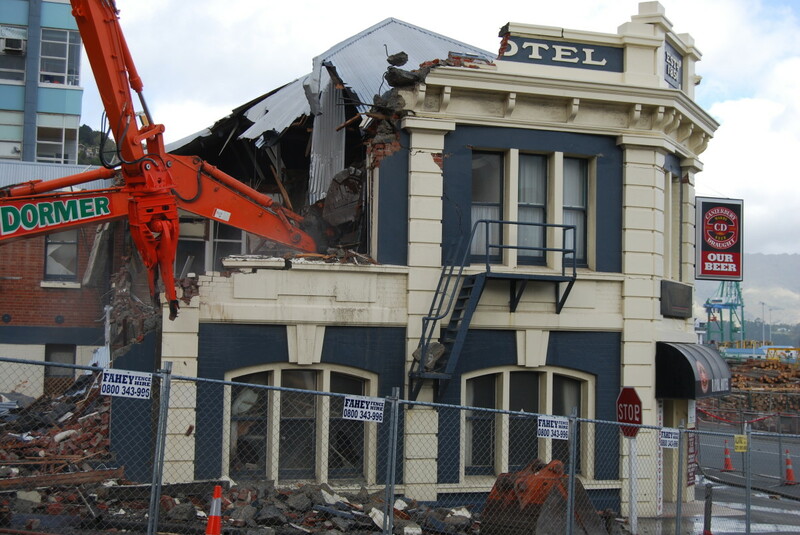 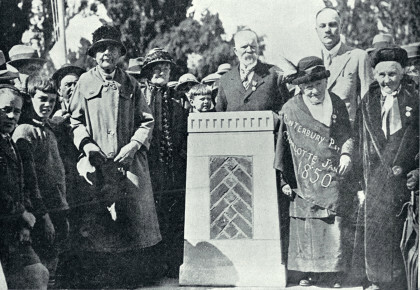 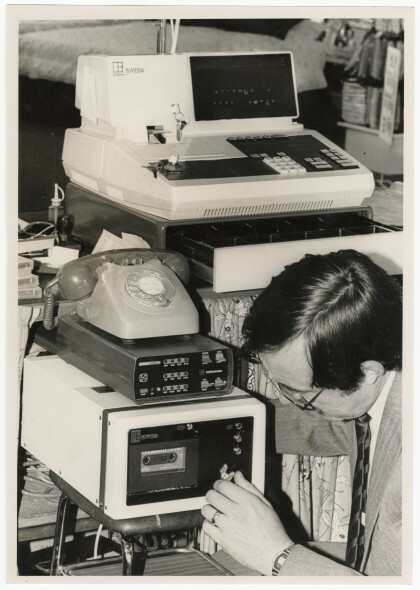 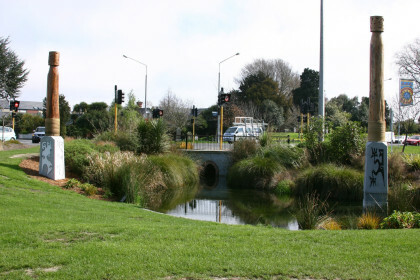 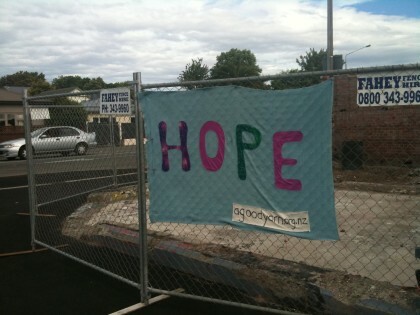 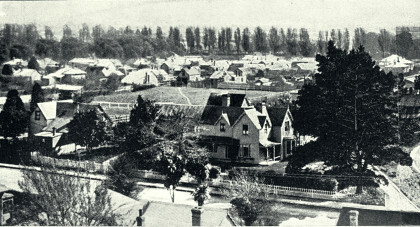 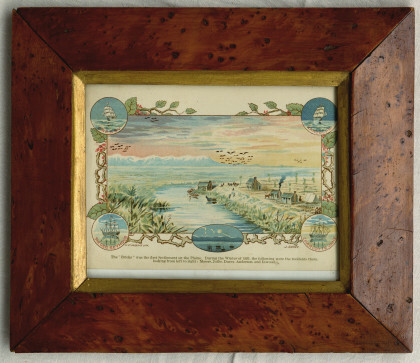 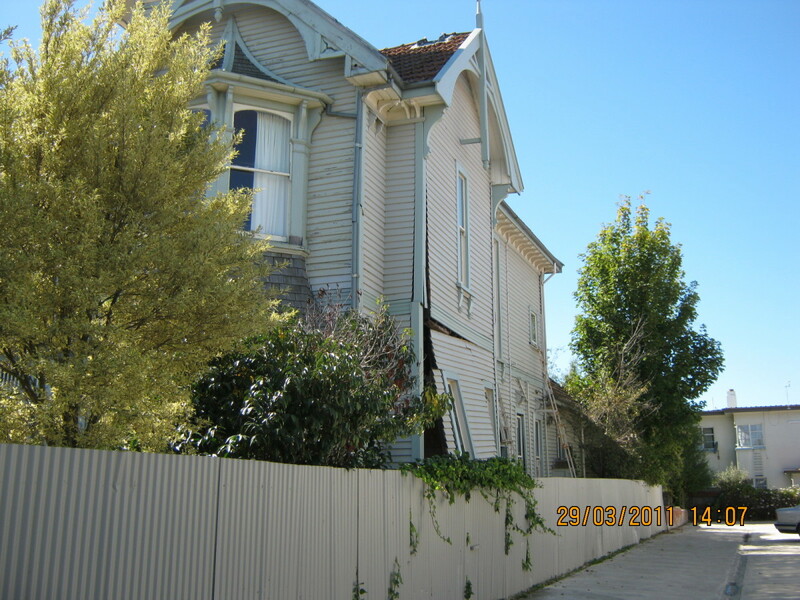 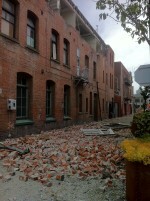 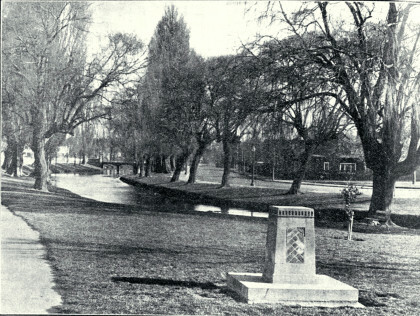 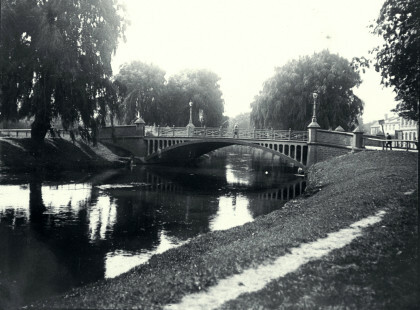 Source: Canterbury Heritage, July 29 2009. 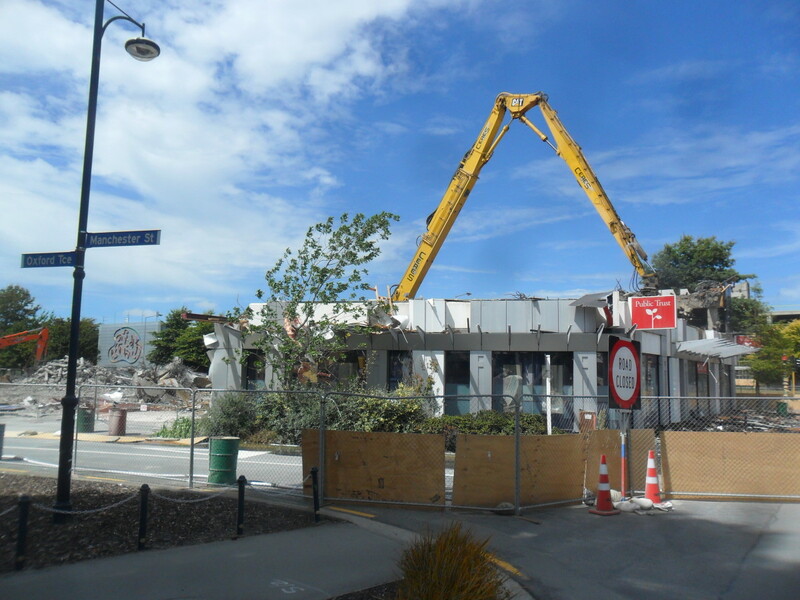 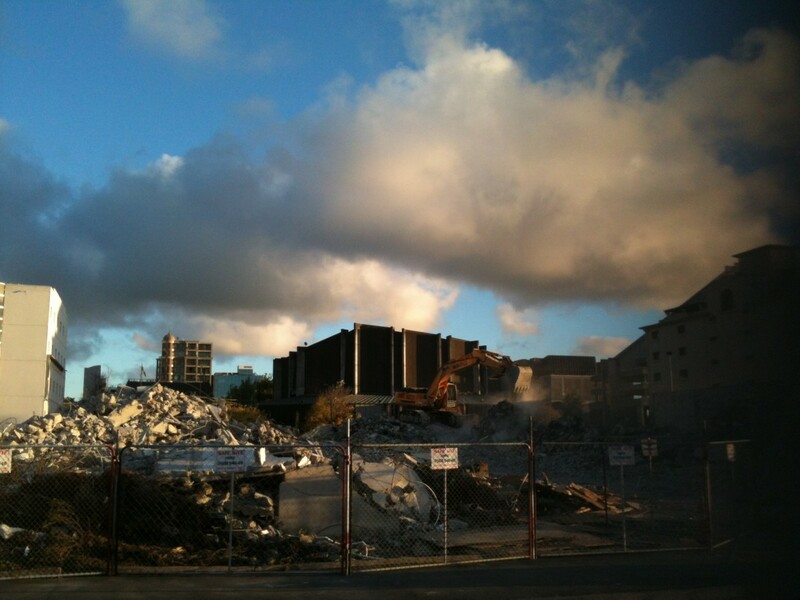 Demolition of building on the corner of Cashel Street and Oxford Terrace. Also visible is the Lichfield Street car parking building. 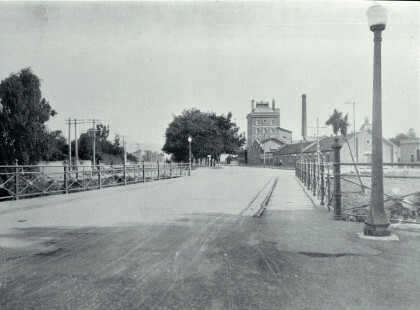 Brighton Dairy fenced off before demolition. 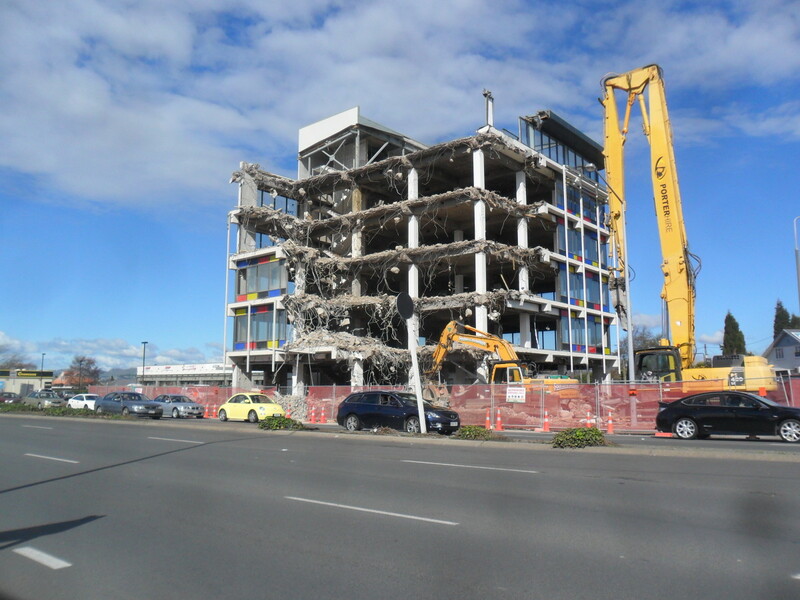 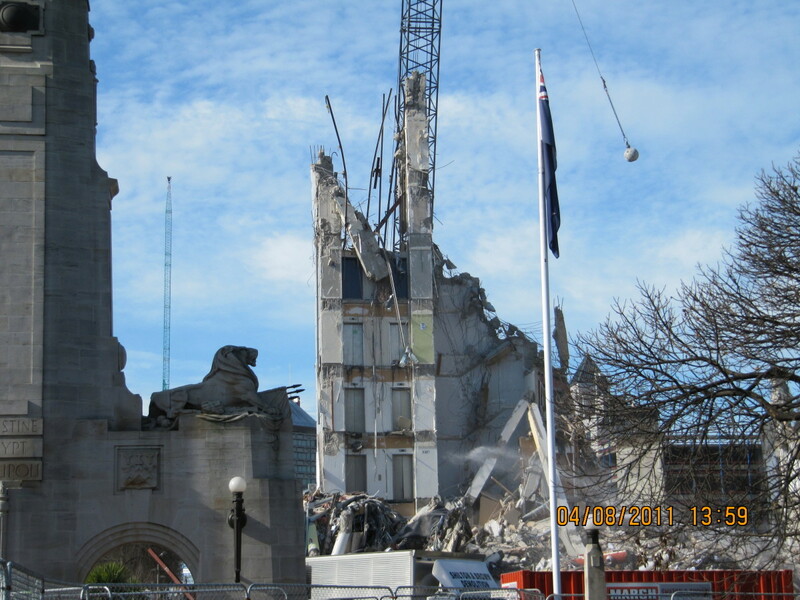 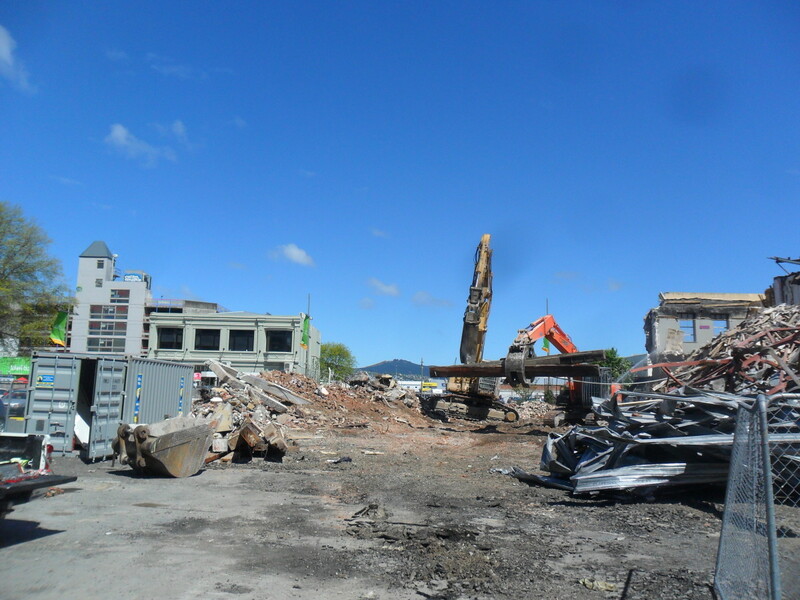 Demolition of 124 Oxford Terrace. 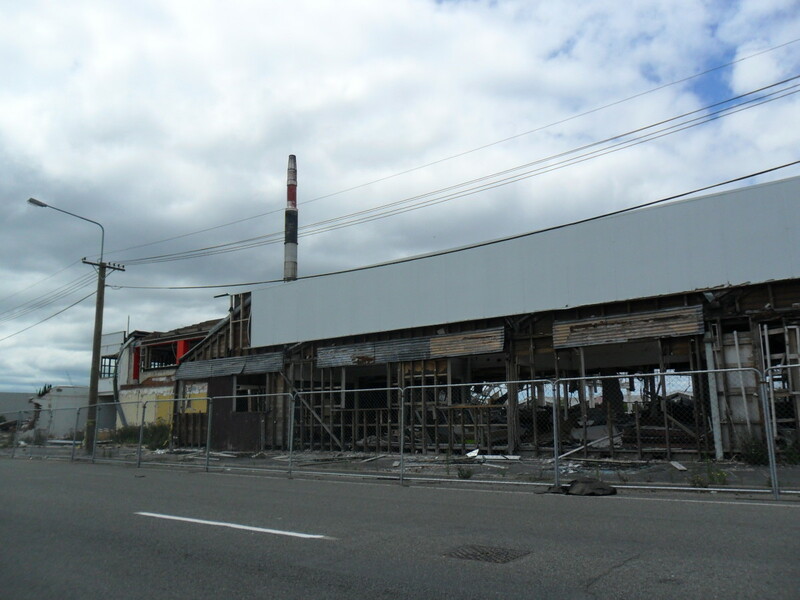 Also visible is Lichfield Street car parking building. 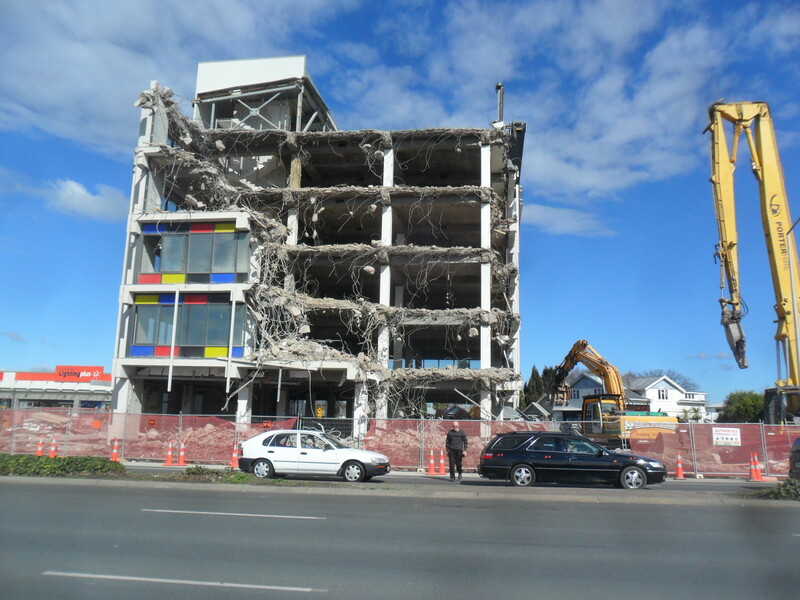 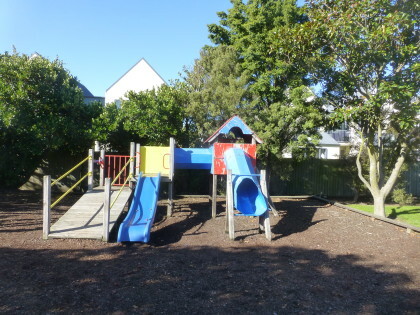 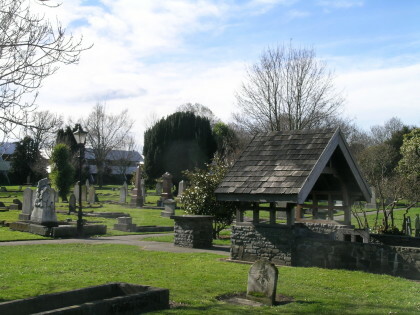 Photograph taken 23 October 2012. 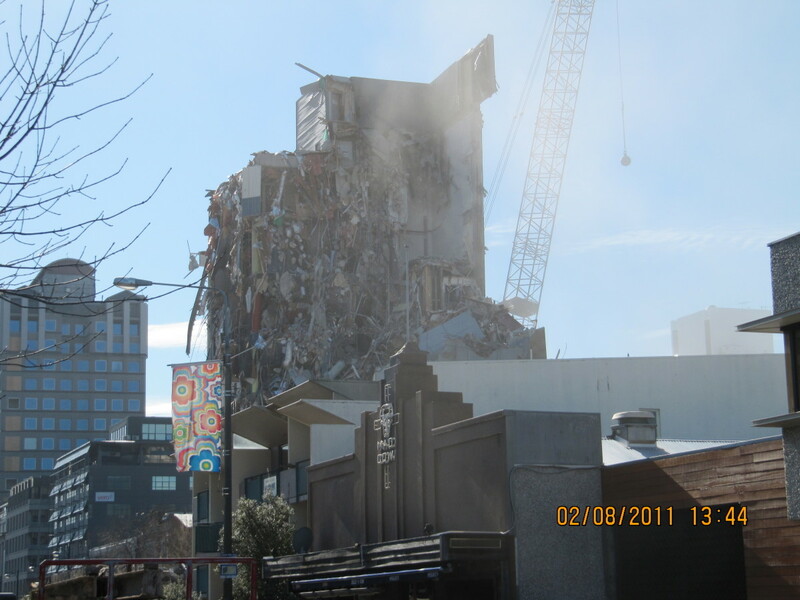 Demolition of 124 Oxford Terrace. 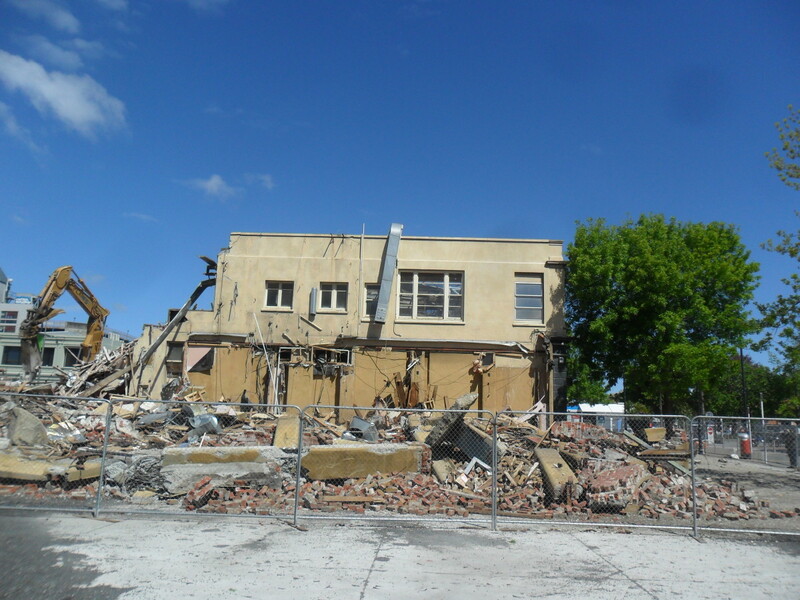 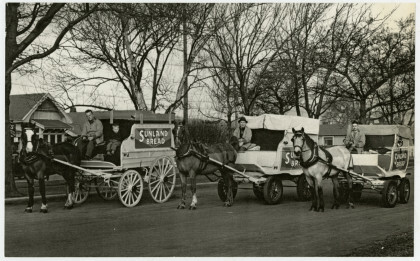 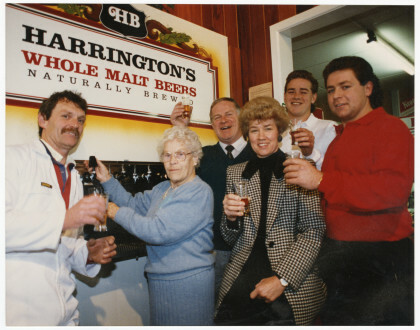 Formerly The Tap Room on what was known as the Strip. 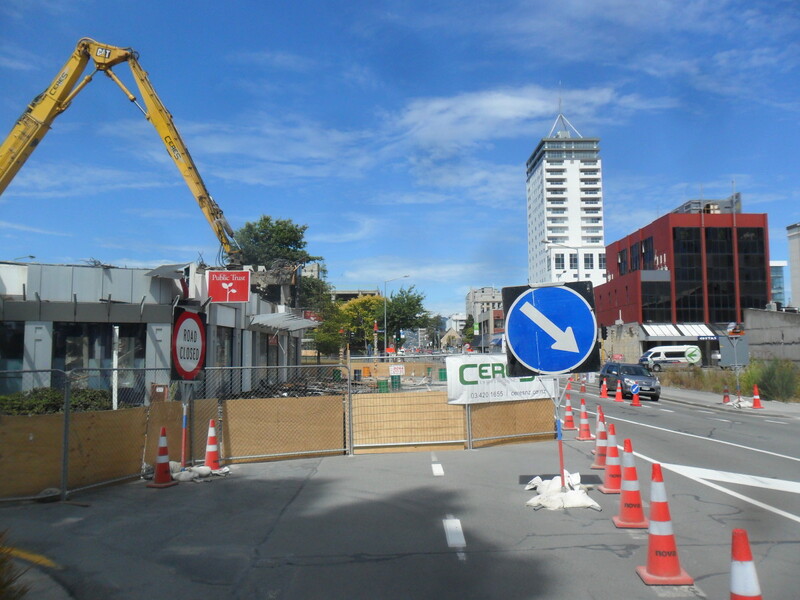 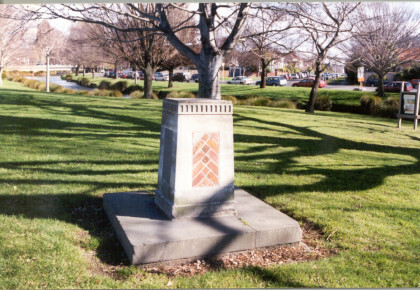 Corner of Oxford Terrace and Cashel Street. 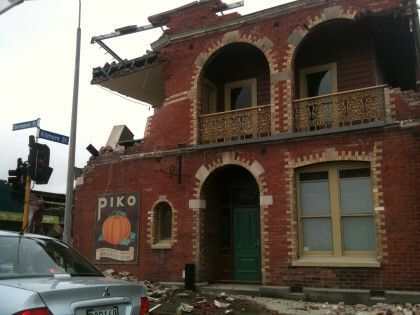 Photograph taken 23 October 2012. 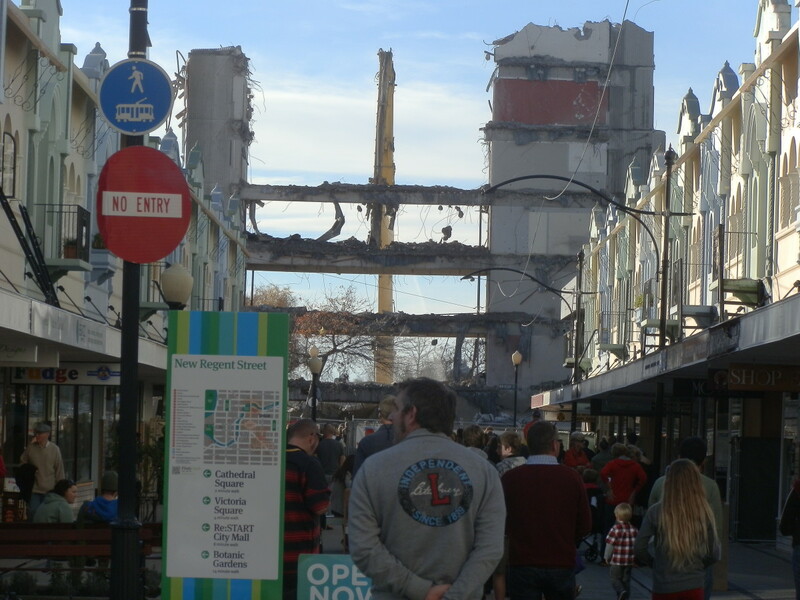 People watch, from New Regent Street, the demolition of the earthquake-damaged BNZ building in Armagh Street. 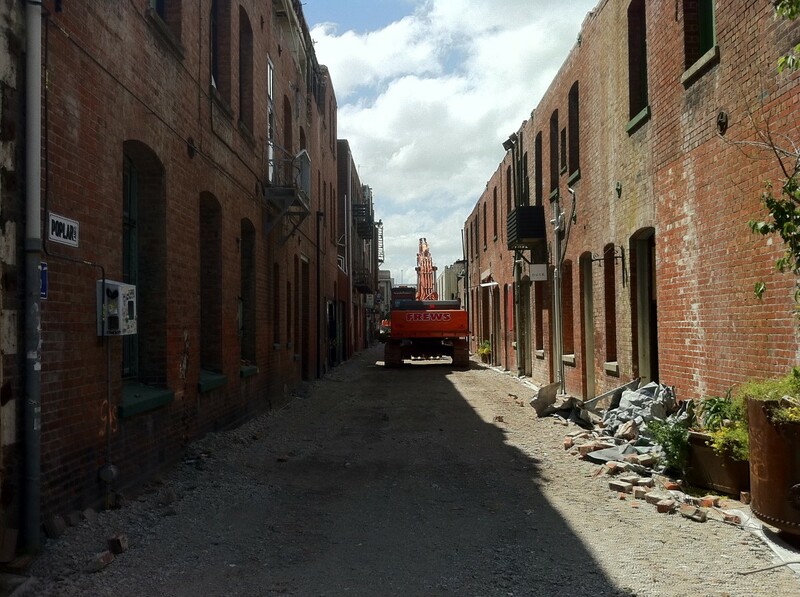 Arrival of restored and new buildings and the departure of others.